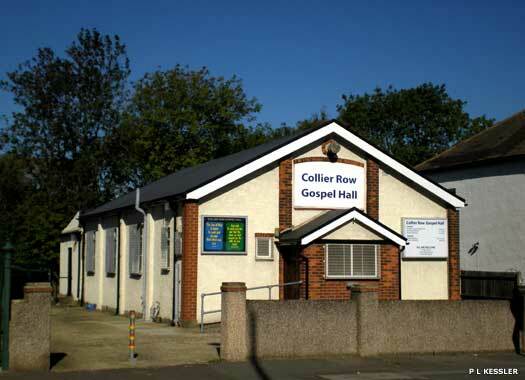 Collier Road Gospel Hall occupies a small, walled site on the northern side of Collier Row Road, midway between the Lodge Lane and White Hart Lane junctions in Collier Row, to the north of Romford. This hall was one of five that were opened by the Brethren in the district between 1933 and 1963. It was registered in 1936, along with Rush Green Hall. 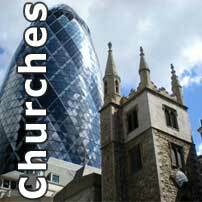 Today, the gospel halls are referred to as a collection of independent evangelical churches, or assemblies. The Parish Church of the Ascension occupies the north-western corner of Collier Row Road and Carter Drive. The church originated in 1880 as a mission for St Edward in Romford. Services were held first in Hainault Forest School, and later in a mission hall. The present church was built in 1886. A new parish, taken out of Romford and St Chad Chadwell Heath, was formed in 1927, and the church was consecrated in 1928. It later lost parts of its parish to new local churches. 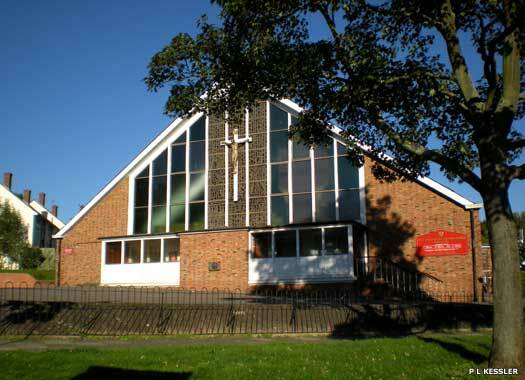 Collier Row Methodist Church stands in a plot on the western side of Clockhouse Lane, almost opposite Burland Road. The church was planned in 1939 but only opened in 1954. An extension, visible to the left of the photo, was added in 1967. Plans for a new manse were submitted in 1976. 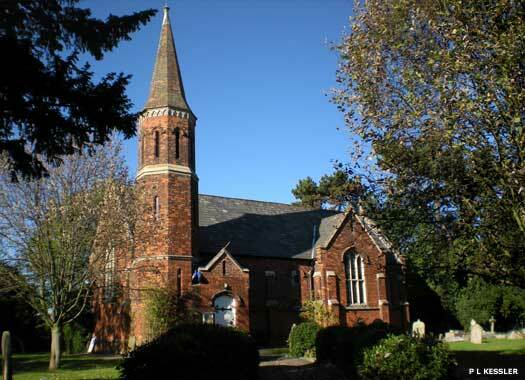 Nearby, Ebenezer (Wesleyan) Church, The Lawn, Collier Row, was registered in 1877. In the 1880s it was described as unsectarian. It seems to have ceased about 1890. The Parish Church of St John the Evangelist Havering-atte-Bower is between North Road and Elmer Avenue at the southern end of the village. 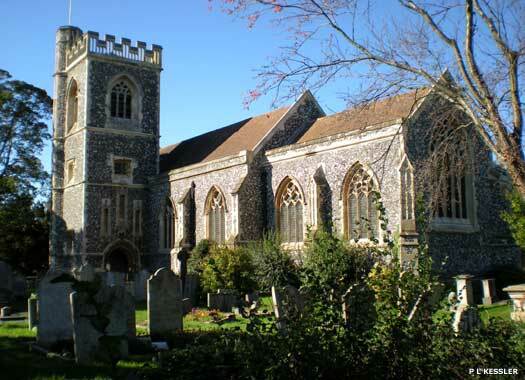 The earliest 'church of Havering' was St Andrew Hornchurch. From the thirteenth century there were also two chapels attached to the royal house in Havering village. The larger Chapel of St Mary existed by 1201 and was apparently for public use. The smaller Chapel of St Edward, fell down with the rest of the house about 1700. St Mary's was rebuilt in 1374-1377 and in 1578 it was still connected to the house, with a south doorway and a small weatherboarded belfry. In 1836 it was enlarged by the addition of a structurally separate chancel. The building was demolished and replaced by the present church in 1875-1878. It was built in flint faced with stone dressings by Basil Champneys, in the Decorated style. It has a nave, chancel and an offset tower at the south-west corner with six bells. St Thomas Church Noak Hill occupies an open and verdant plot on the northern side of Church Road, at the Chequers Road end, in Noak Hill, Harold Wood, which lies to the east of St John the Evangelist (see above). Sir Thomas Neave of the nearby Dagnams estate was the son of the highly successful trader and later governor of the Bank of England, Richard Neave (1731-1814). In the early 1840s he decided to built a church at Noak Hill as a memorial to Frances, his late wife. The relatively small church was put up in 1841-1842 by George Smith. 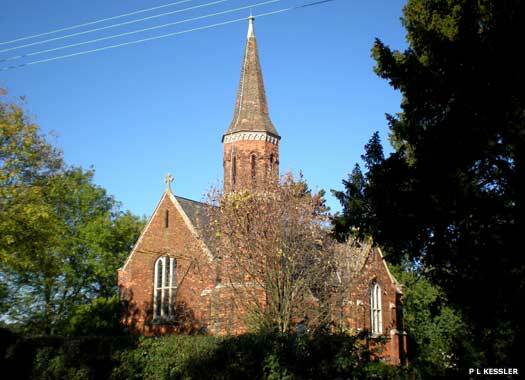 Designed in the Early English style, it was built in red brick, with a nave, chancel and shallow transepts, south-west octagonal tower and spire and a north-east vestry. The main windows have transoms, and there is some Flemish pre-Reformation glass in the east window, given by Sir Thomas Neave. The tower was restored in 1971, and the church remains in St Edward's parish. 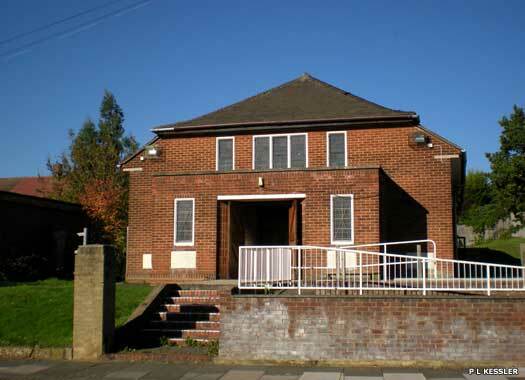 Ichthus Goodnews Church stands on a raised mound at 4 Taunton Road, on the northern side of the road close to the junction with North Hill Drive in Harold Wood. 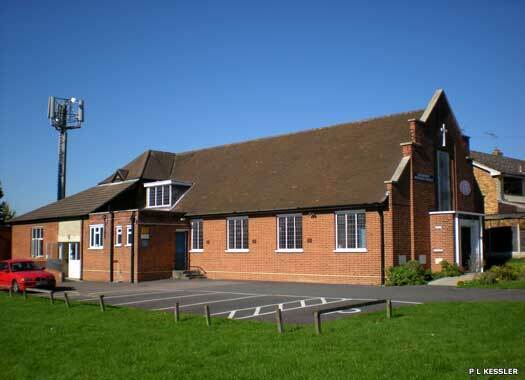 The church originated in 1950 as Harold Hill Church (see below), when members from Main Road Baptist Church and Romford Congregational Church opened a joint Sunday school at Harold Hill. This collaboration continued until 1955, when the Baptists built the present building as Taunton Road Church. Harold Hill Methodist Church lay on Harkness Drive, on the southern side of Dagnam Park Drive, opposite Whitchurch Road. 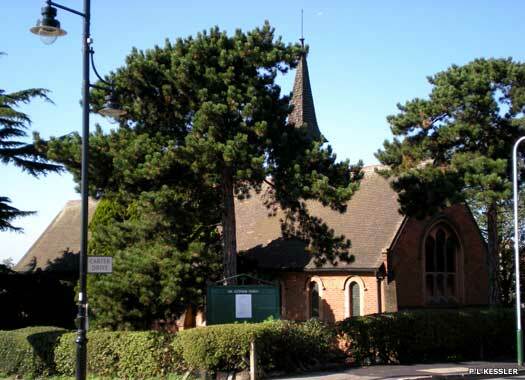 The church originated in 1950, when members of Harold Wood Methodist Church started open air services on the new LCC estate. A school church was built in 1953 with the aid of 'portable' war damage compensation from the former Grove Methodist Church at Stratford. The church closed in 1979. 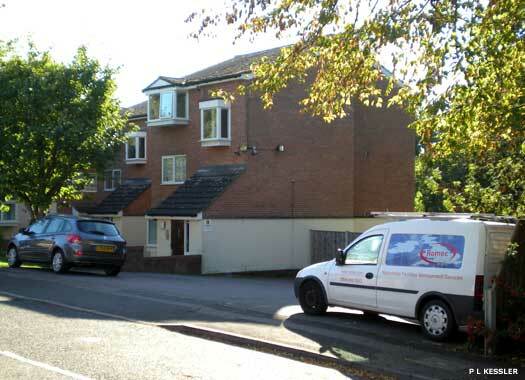 The site was cleared and modern housing put up. Most Holy Redeemer Catholic Church Harold Hill stands overlooking the eastern side of Petersfield Avenue, at the corner with Redruth Road in Harold Wood. A priest started work at Harold Hill in 1949, when the first houses were being built on the LCC estate. 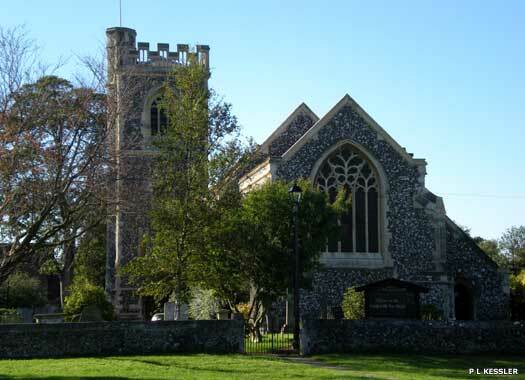 A new parish was formed in 1952 and a year later, with mass attendances averaging about 1,000, a church hall was opened in Petersfield Avenue. The church, adjoining the hall, was completed in 1964.